August 12, 2018 DUNCANPUTMAN.COM MEMBER AREA UPDATE! Added Mack Trucks Gallery 4. This gallery contains 26 images of H-67 Mack Trucks! 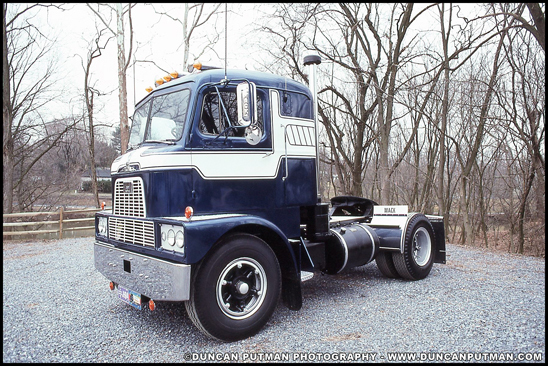 PHOTO CAPTION: A beautifully restored 1961 Mack H-67 photographed in 1991.